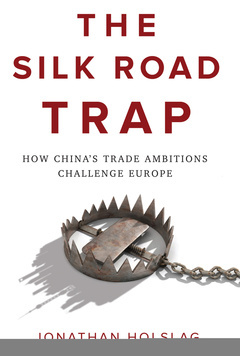 The Silk Road Trap is the first book to expose just how risky this uneven partnership is for Europe. In it, leading expert on Asian affairs Jonathan Holslag, argues that Europe must reduce its reliance on China and work on building a stronger and more sustainable European economic model. By revealing the political aspirations and economic strategy behind the new Silk Road, he lays out its implications for specific European industries, from steel over aircraft to robots. Holslag, though critical of China, does not, however, make the case for confrontational, Trumpian protectionism. Instead, he posits that the new Silk Road need not ensnare Europe; it offers the continent a unique opportunity to transition from a future "made in China" to one that is "made in Europe".